The Taxi that doesn't cost the Earth! Booking with Go Green has never been easier! We do more than just say "we are green"...we are green. We work in partnership the World Land Trust to help offset our emissions. So far we have helped protect over 30 Acres of rainforest and threatened habitats. or just find out what we've been up to recently! 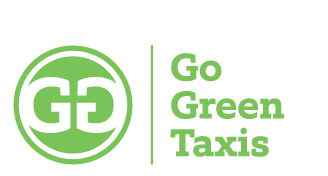 Go Green Taxis’ mission is to provide a first-class taxi service whilst reducing carbon emissions. Our founding principles of providing Outstanding Reliability, Excellent Customer Service, Competitive Pricing and Environmental Awareness are still as relevant today as they were then. Offering a specially selected choice of vehicles in our fully owned fleet ranging from our Eco-Friendly Prius, Disabled Access Peugeot Premier, Exclusive Executive Mercedes E-Class and the multi functional 8 Seater Ford Tourneo with space for up to 8 Suitcases! We are always able to take you wherever you want to go. Any time, any place, any airport. Go Green Taxis offers you an unrivalled taxi travel to all of Didcot and Oxfordshire. Friendly and reliable Eco friendly transport. They continually been able to deliver a first class service as the first point of contact for my executive business car needs, whilst maintaining a friendly and professional attitude. credit to Go Green! Provided us with an excellent service which we cannot fault, we would highly recommend them. We have used your airport service for a few years now and find it reliable, professional and cost effective. It is really important to have a trusting relationship and look forward to continuing to work with you. Go Green Taxi’s Provide a regular four days a week taxi service for a client of ours, they are very reliable, they inform us when they are likely to be late and keep us informed of any concerns with our client, their drivers are always friendly. Pleasure to recommend Go Green taxis. Always on time, always friendly, always polite. Go Green Taxi’s have always provided us with a prompt and flexible service with a great corporate rate. I would highly recommend them for either business or personal hire. Top Qualities: Great Results, Good Value, On Time. The Taxi that doesn’t cost the Earth!